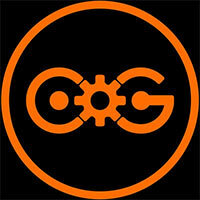 As obvious these repeated assets or limitations may be. 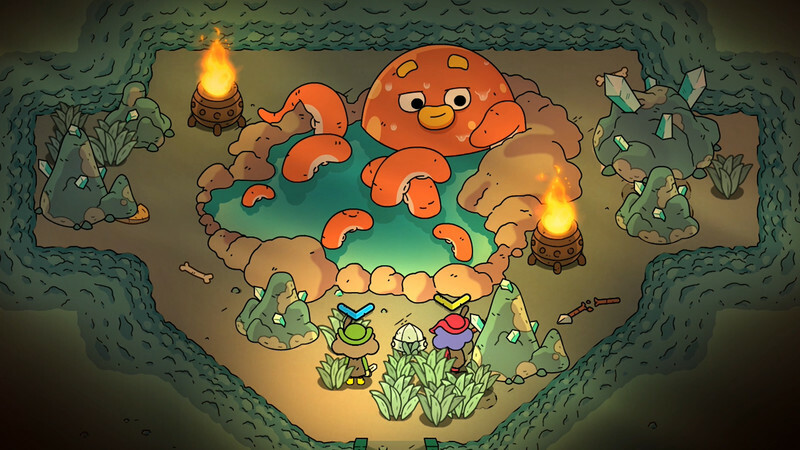 The Swords of Ditto thankfully doesn’t end up faltering as a result, managing to ride out its weaker moments to deliver a dungeon-crawling RPG, that while unspectacular, is nonetheless worth the time and effort needed to tackle its ordeals head-on. And sure, the village’s new layout will lead you down a few frustrating cul-de-sacs, but by then you should have accrued more time to afford the odd wasted journey. 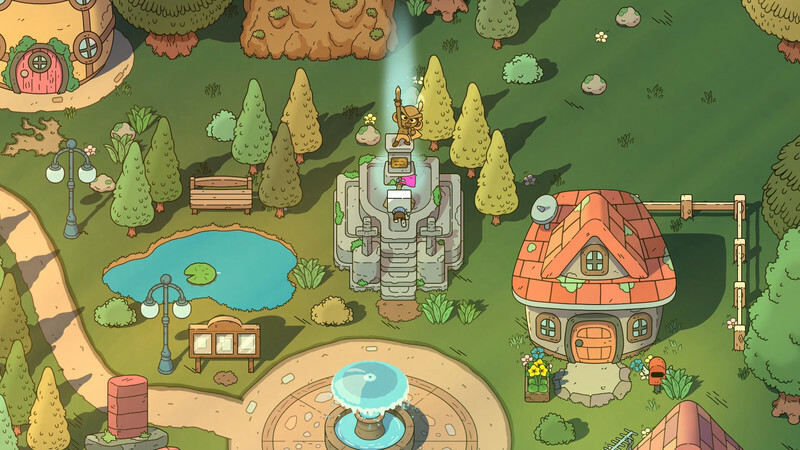 It may not do anything sparklingly new and exciting, but with or without a co-op partner—who can drop in and out with little hassle—The Swords of Ditto is a quietly compulsive treat. 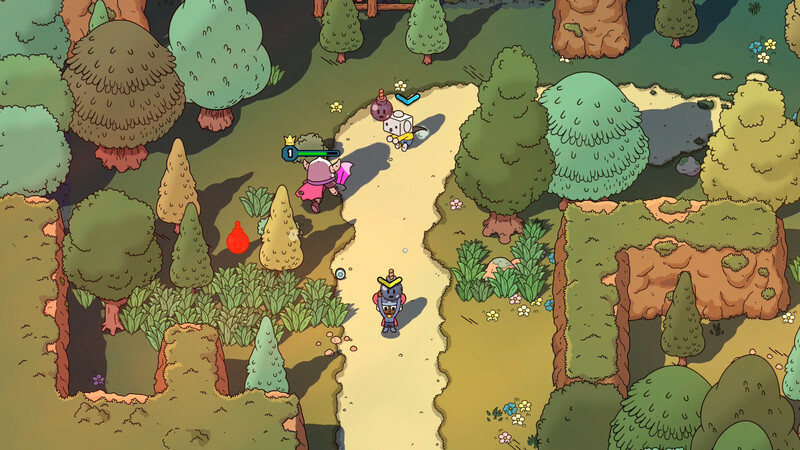 With its familiar combat, classic puzzle-infused dungeons, eye-catching art style, and fantastically memorable audio, the only problem I encountered with Swords of Ditto came in its framerate if multiple enemies were on screen at any given time. Even then, it wasn’t game breaking, just a bit of lag. With so much to see and do, Swords of Ditto is a heart-warming adventure I simply can’t get enough of. Onto the next adventure! Whenever I was able to focus on the individual pieces that make up The Swords of Ditto—its visual panache, the compelling premise at its center, its surprisingly intriguing backstory—I had a decent enough time. But time and again, my interest turned to irritation as I failed to either make meaningful progress or to connect with my custom-tailored, but ultimately lifeless, world. The only problem, fundamentally, is that it the setup doesn’t exactly work within the context of a traditional top-down action-RPG. That experience where items obtains throughout your travels can then be used to delve deeper into more dangerous territory. 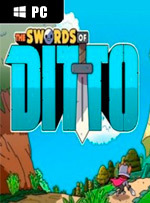 The Swords of Ditto cuenta con una traducción al castellano bastante notable. 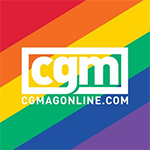 Los textos van a juego con la estética infantil del título e incluye chascarrillos propios de nuestra cultura y conversaciones bastante divertidas propias de inocentes chiquillos de corta edad. 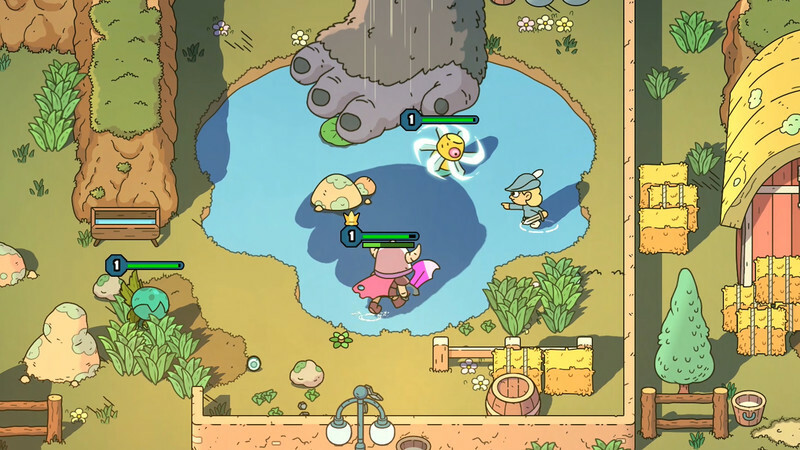 The Swords of Ditto es un rogue-lite muy interesante que con su estilo gráfico tan característico y sus posibilidades de multijugador cooperativo local convencerá a muchos jugadores. 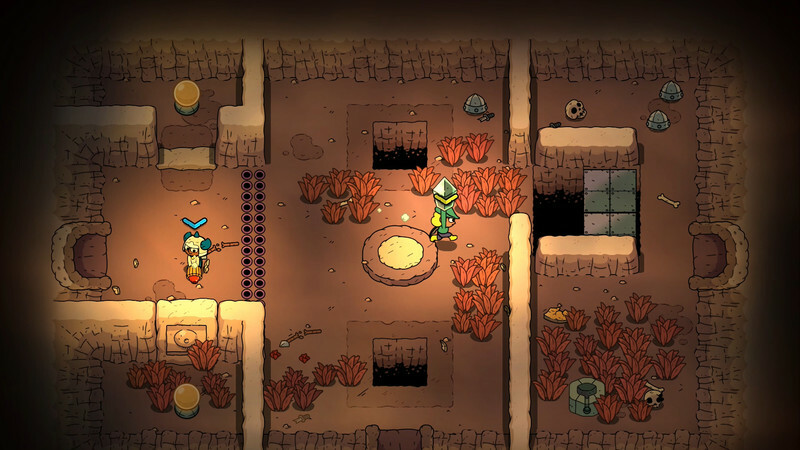 Su propuesta capta a la perfección el espíritu de estos juegos y lo fusiona grácilmente con la estructura clásica de un Zelda bidimensional. En ces heures sombres de recyclage et de remasters vendus à prix d’or, il est doux de tomber sur un jeu au concept unique. Dommage cependant qu’il ne le soit que sur sa première ou deuxième partie quand on est invité à le recommencer des dizaines de fois. Si l’idée de mélanger des genres peu familiers n’était pas mauvaise sur le papier, elle fonctionne beaucoup moins efficacement manette en main, faute de moyens adéquats.